Our purpose is to gift surgical best practice to the most disadvantaged communities on the planet. We like to call Australia the lucky country, but when it comes to healthcare, we’re not just lucky, we’re world-leading. So we believe it’s not only our privilege, but our responsibility to share surgical best practice with the most disadvantaged communities on the planet. By bring modern surgery, training, equipment, and community education to where they are needed most, we’re not just saving lives today, we’re transforming a whole community’s ability to save lives ongoing. Open Heart International was established in 1985 by Mr. Russell Lee, Mr. Rudi Morgan and Dr. John Wallace as volunteers, who all worked for Sydney Adventist Hospital at the time.The history of Sydney Adventist Hospital (or the “San” as it is affectionately known) is rich with stories of “San” educated healthcare professionals individually volunteering to help the disadvantaged and medically challenged around the world. The genesis of Open Heart International was in Russell’s visit to see his missionary parents in Tonga. While in Tonga, he witnessed the lack of surgical options for those dying of rheumatic heart disease. As an ICU nurse specialising in cardiac care and challenged by what he saw, he returned to Australia determined to make a difference. It was from this desire to make a difference in Tonga that led to the initiation of “Operation Open Heart for Tonga” by the three men, with strong support from many others. By 1986, they had succeeded in fundraising, they had acquired equipment, and had coordinated a small group of Sydney Adventist Hospital medical and nursing staff to travel. The rest as they say is history. Over thirty years since that first project visit to Tonga, our purpose remains the same – to gift surgical best practice to the most disadvantaged communities on the planet. We deal with critical and complex surgical interventions in places where people have lost hope. 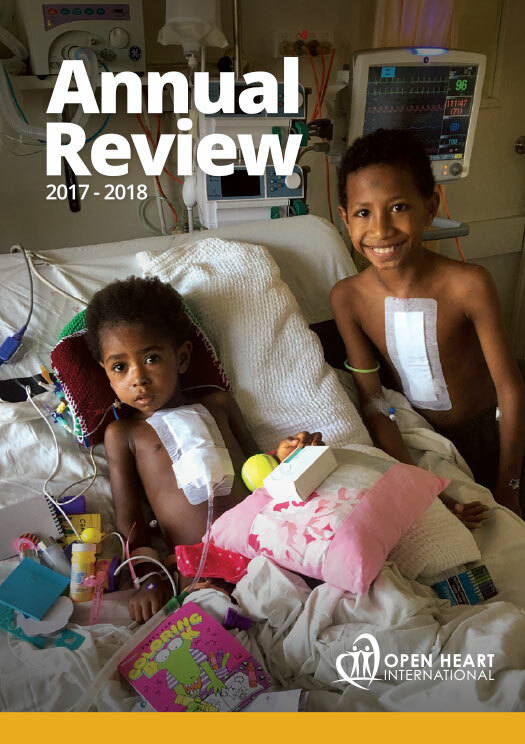 While some of these interventions may not sound ground-breaking by Australian standards – a few being heart valve replacements, burn scar contractures, cataract removal, and uterine prolapse surgery – we were first to perform some of them in places like Fiji, Tonga, and Vanuatu, transforming thousands of lives as a result. We have a long-term commitment to creating local self-sufficiency, not band aid solutions. It starts with volunteer teams of surgeons, doctors, nurses, clinicians and educators carefully developing every single program detail to address needs and competencies of the local medical team. It includes us equipping local medical teams with thousands of dollars of equipment so they have the tools, as well as the training, to continue the work when we leave. And it ends with ongoing follow-up and educational teams ensuring our efforts take root. Because while saving a life today is amazing, the greatest thrill we get is hearing that operations are being performed long after we’ve left. We believe it is the most valuable gift that we can possibly give to other human beings, and it is the reason why we exist. Often performed in resource-limited locations, we boast surgery success rates equivalent to similar operations in Australia – one of the many reasons why 23 of our members have received Order of Australia awards. While it’s great that some of Australia’s finest are finally being recognised, our biggest praise is seeing the effect that bring top-end surgical best practice to these places has, and knowing that these miracles of modern medicine are putting hope back in the lives of those who need it most.